Matt Kaiser has represented hundreds of clients through some of the most difficult times in their lives. Matt has represented corporate executives and folks living on the streets. He has represented large corporations in sophisticated civil cases, and individuals in less complicated matters. He has defended people accused of almost every kind of federal crime including tax evasion, bribery, fraud, drug dealing, arson, weapons charges, and violating export controls. Matt has helped people with trials, appeals, and post conviction petitions, and he has represented people and corporations in both state and federal courts. of Maryland. He was an Assistant Federal Public Defender in the Office of the Federal Public Defender for the District of Maryland. He has been an attorney at two major law firms in the District of Columbia - Williams & Connolly LLP and Zuckerman Spaeder LLP. Matt graduated Phi Beta Kappa and with departmental honors from The College of Wooster, and holds a Masters Degree in Philosophy from Tulane University. Matt has written on a number of topics in criminal law and procedure. 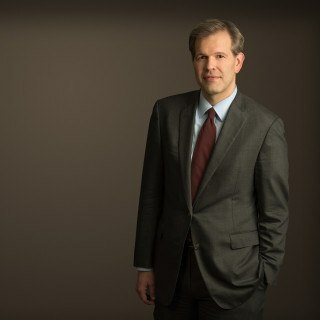 His publications have appeared in the Legal Times, The National Law Journal, and The Georgetown Law Journal. He is a member of the Edward Bennett Williams American Inn of Court, an invitation-only professional organization devoted to white collar criminal practice. Matt is admitted to practice law in Maryland, Washington, D.C., the United States District Courts in Maryland and Washington, D.C., and in the United States Court of Appeals for the Fourth Circuit. A Generic Appeal Waiver Doesn’t Preclude Claim of Ineffective Assistance of Counsel at Sentencing—In re Sealed Case, _ F.3d _ (D.C. Circuit, No. 16-3005 (Aug. 17, 2018). Safety Valve: Statutory Construction Saves the Day in International Interdiction Appeal; Inter-Circuit Split Noted—United States v. Alfredo Mosquera-Murillo, et al, _ F.3d _ (D.C. Circuit, No. 16-309 (Aug. 24, 2018). A money-laundering conviction reversed for insufficient evidence plus the D.C. Circuit agrees that individualized jury determinations of drug quantity in conspiracy prosecutions are necessary to trigger mandatory minimum sentences – United States v. Calvin Stoddard, et al, __ F.3d _ (D.C. Circuit, No. 15-3060 (June 15, 2018). A deficient Rule 11 plea colloquy, plain error imposition of a consecutive sentence and an upwards departure that lacked a reasoned explanation: United States v. Dawayne Brown, et al, _ F.3d _ (D.C. Circuit, No. 15-3056 (June 15, 2018). So you want to serve your sentence at home?